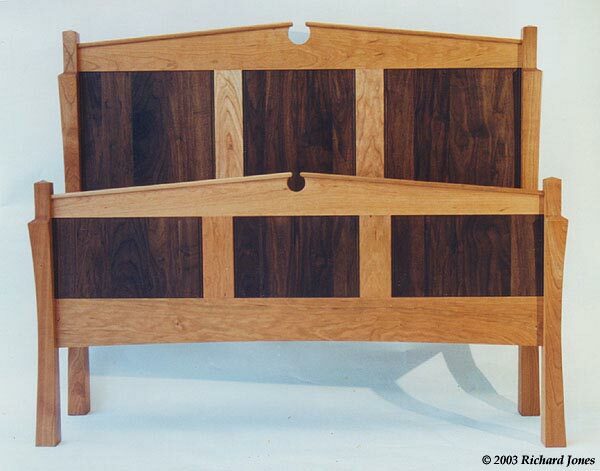 A pair of beds, one made for and sold at exhibition; one for personal use. 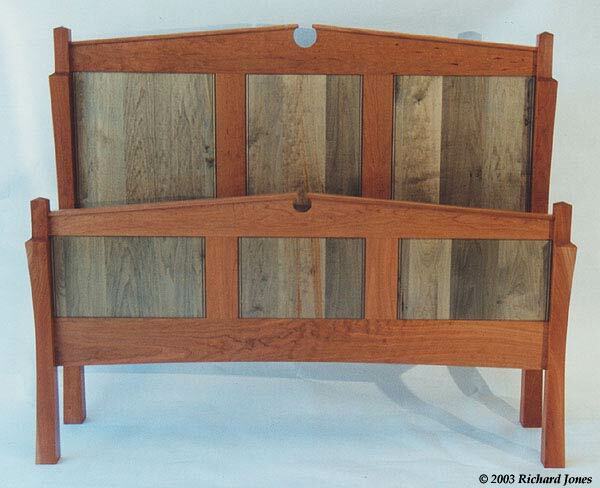 Bed 1: American Cherry and harewood. Harewood is maple dyed with green copperas, aka, ferrous sulphate. 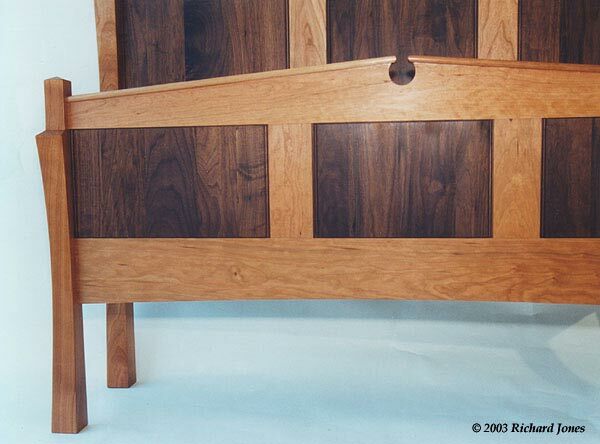 Bed 2: American Cherry and American black walnut. Walnut dyed with aniline dye. Polished with alkyd varnish and sprayed pre-catalysed lacquer. 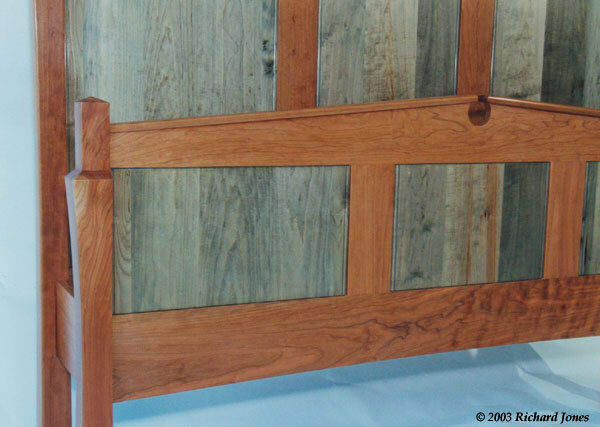 H 1380 mm [of headboard] X W 1690 mm X L 2250 mm. (H 54-1/4" X W 66-1/2" X L 88-1/2"). 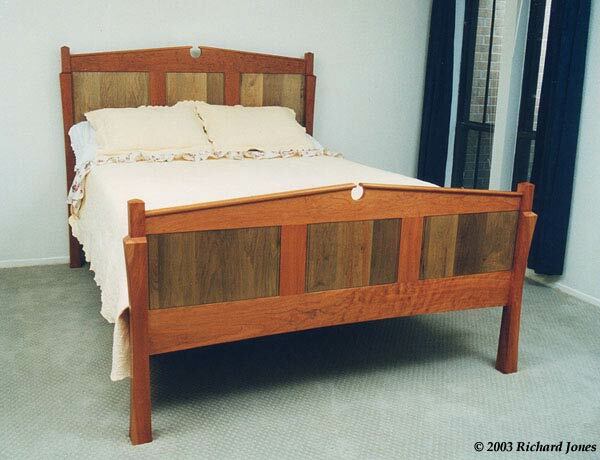 Height of footboard: 870 mm (34-1/4"). Top of mattress, 710 mm above floor (28").